I have never really been an 'organiser' - organising trips, holidays and events is something I have been happy to leave to other people, both at work and in my personal life. 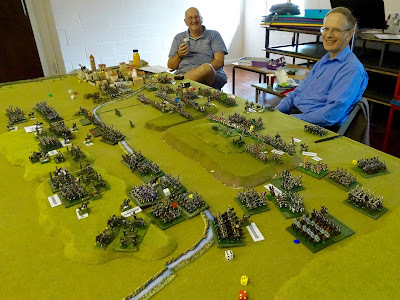 But despite this, in 2018 I organised a modest wargaming event, which I have called 'The Cotswold Wargaming Day'. I think the catalyst was having a really nice, modern community centre situated only a couple of hundred yards from my house in Northleach. A wargamer's mind never leaves his or her hobby far behind, and passing the centre regularly when walking the dogs I eventually got to thinking that the centre looked a great location for a smallish wargaming show. 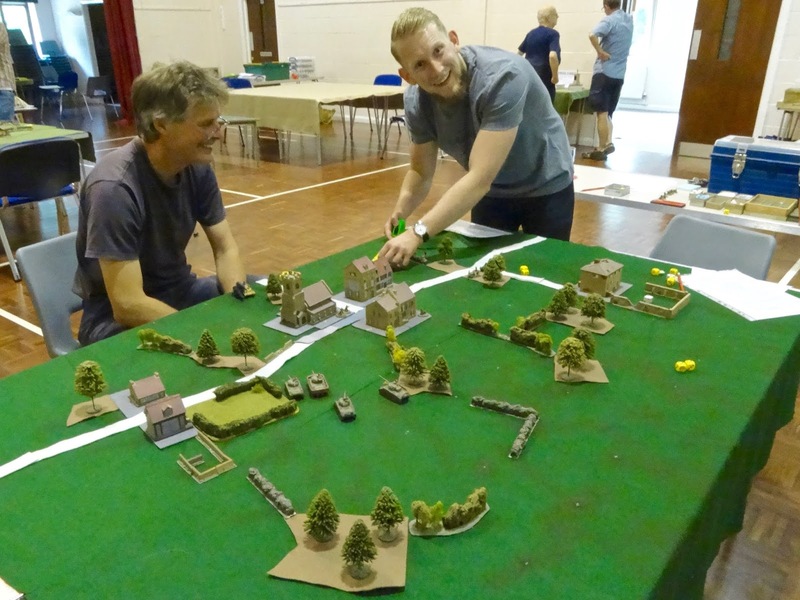 My first thoughts were for a very small gathering of as few as 6-8 wargaming buddies, but initial feelers quickly demonstrated that something a bit bigger would be both possible and preferable. A meeting in March had to be cancelled due to the heavy snowfall, following which 2nd September was scheduled. 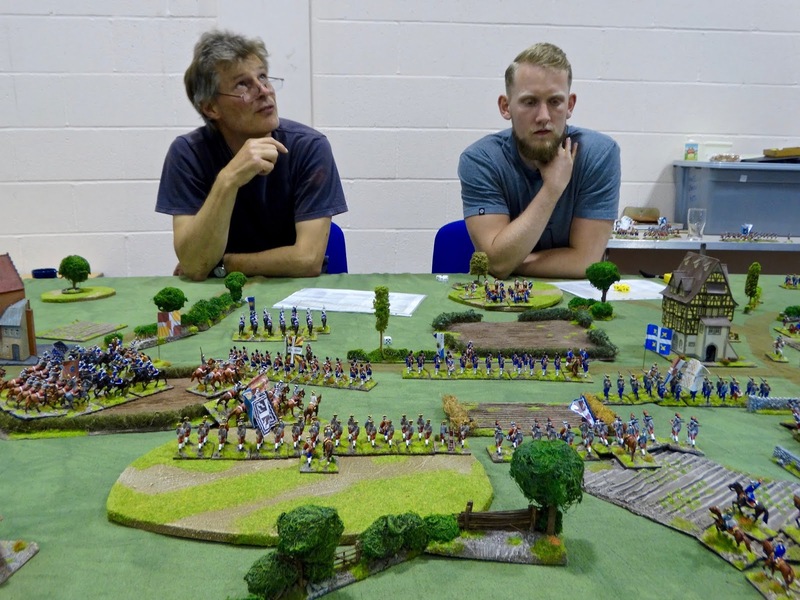 To cut the story short, the meeting went ahead as planned, and 18 wargamers turned up, to take part in 6 games. In the end, my own game had to be set aside to allow the other 5 to have decent numbers of players, but I didn't find this a problem - in fact, it left me with time to join in with a couple of other games, and time to chat with the other gamers, many of whom I had not had the pleasure of meeting previously. The good news for me was that just about all those invited turned up, and everyone who took part seemed to have a good time. 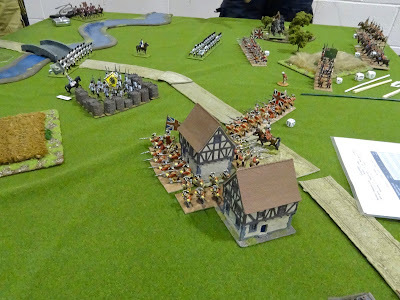 Best of all was that the atmosphere was just what I had hoped for - relaxed and friendly, with plenty of people chatting about the hobby and having the opportunity to take part in more than one game. Now I've done it once, I've decided to have another meeting next year. There is room to spare at the venue, so I'm hoping to increase numbers of both attendees and games. My photos weren't that brilliant, as I'm afraid you can see below. For better and more numerous photos check out the reports here and here. My thanks to Steve and Chris for publishing such thorough and useful posts. 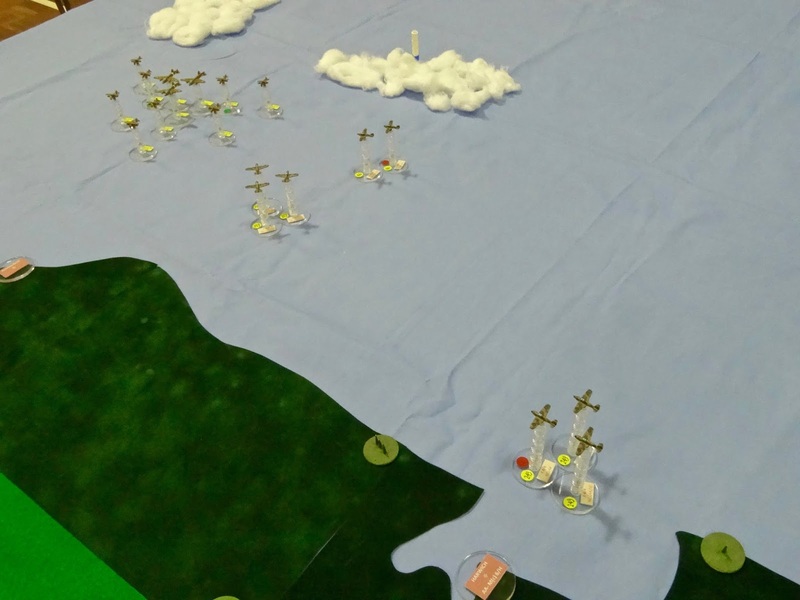 This was Bruce's Battle of Britain game, featuring a scenario based on the Italian intervention in November 1940. I was lucky enough to play through the scenario against Bruce - a very clever and engrossing set of rules that Bruce has developed himself. 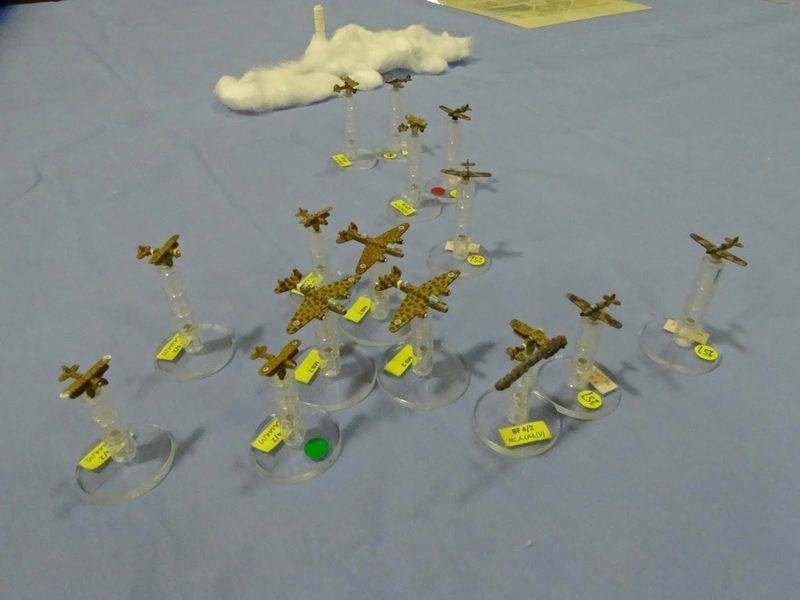 It's not often I get the chance to play an air wargame. The planes are 1:600th scale - the standard of painting of such small models was outstanding. Here the British fighters get stuck in just off the Essex coast. in particular featuring some lovely British units provided by Karl. pretend to be enjoying themselves for the camera. A second SYW game was put on by Willz. Everyone admired the wonderful Spencer Smiths (mostly the original plastics) which Willz had brought to life with his excellent painting skills. 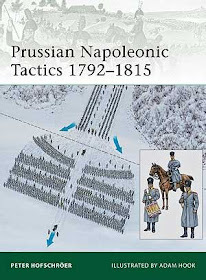 He was using the rules developed by U.S. wargamer Jim Purky, which made an interesting comparison with HoW. Lovely figures, lovely scenery. What's not to like? 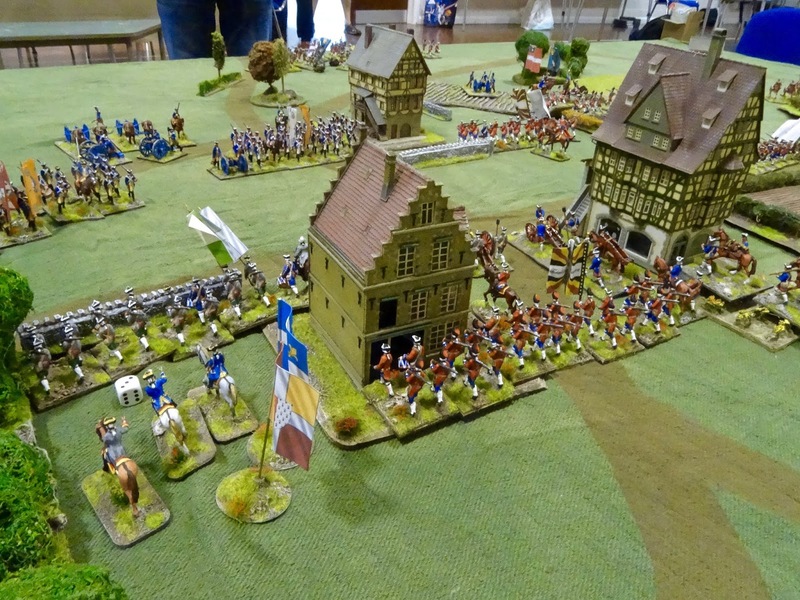 A big Napoleonic game was put on by Roy and Matthew - Talavera 1809. Roy and Chris in the photo. 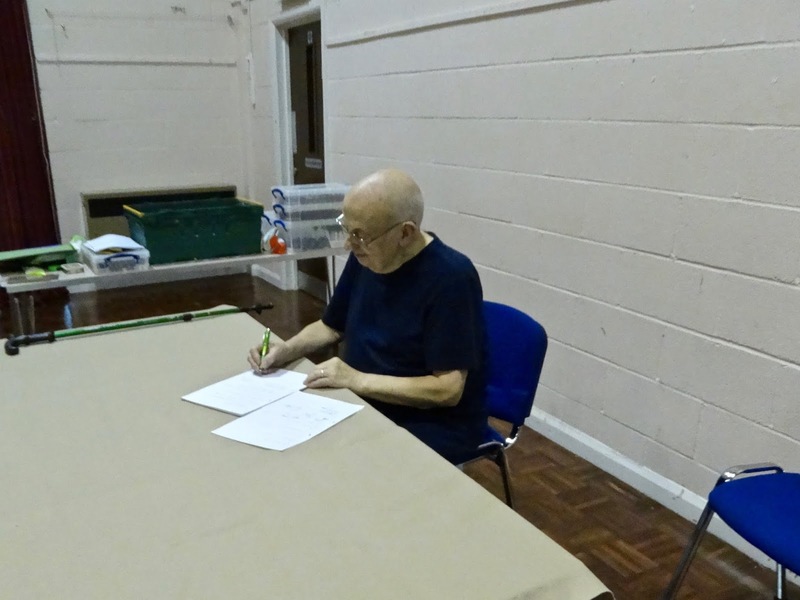 The lonely life of the show judge! Stuart makes his decisions. And the winner is... Best Game went to the Talavera demo. 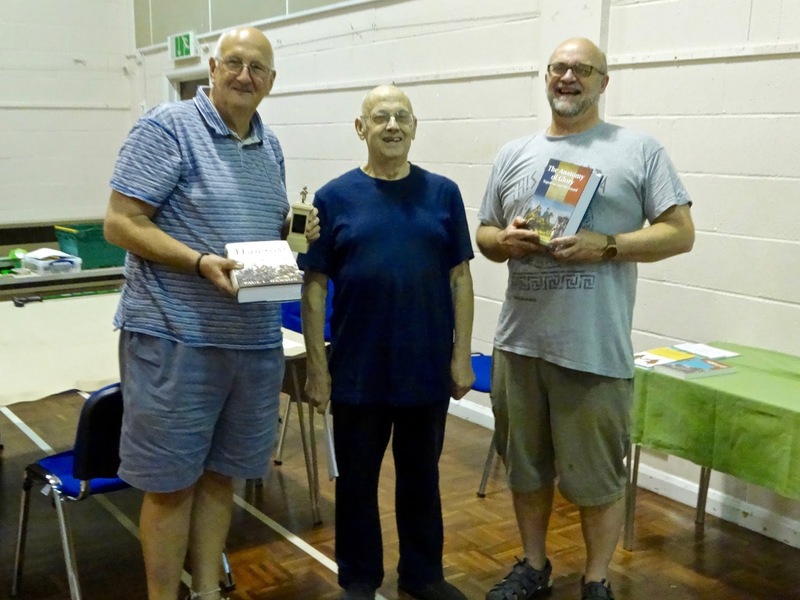 Roy and Matthew receive their prizes and the Stuart Asquith trophy. Especial thanks to Steve for making the trophy - a very professional job. whilst Sam stresses over his next move. I played the pair of them in my final game. We called it a draw. I think I can safely say the day was a success. A few more gamers would have been ideal, but I decided to walk before I ran, and was cautious about spreading my net too wide - perhaps over-cautious. I'll be in touch with some local clubs in preparation for next year, but word of mouth and a few blog posts will almost certainly bring in all the gamers I need. Here's hoping. If you want to attend, and don't already have a way to get in touch with me, leave your email address in the comments section. I'll get back to you, and delete your address from the blog straight away for privacy reasons. Watch this space for some Old School English Civil War - coming soon! Thanks for a great day out Keith, which we all thoroughly enjoyed. Definitely count me in for next year and there is already some interest via the Pendraken forum. And as for some old school ECW, can't wait to see it! All the way from Scotland David! Crikey. I've noted your email and will be in touch. David, your message deleted to hide the email, as promised. Organizing a game day can be a lot of work. 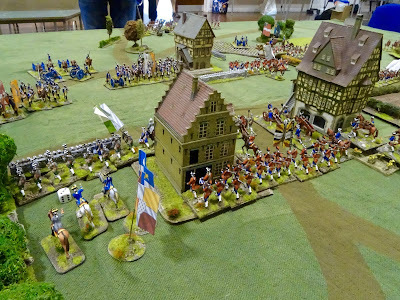 Years past I was on the executive of a large wargame group. Our three day convention was a lot of work. However we usually had 150+ gamers. Now I organize our small group of gamers weekly, still work. Your looks successful, with some great looking games. An excellent post Kieth thanks for organising a fantastic day of fun wargaming, I enjoyed putting on my game and it was a pleasure. What an honour to meet Stuart Asquith as well. Howdy, well done on the event. 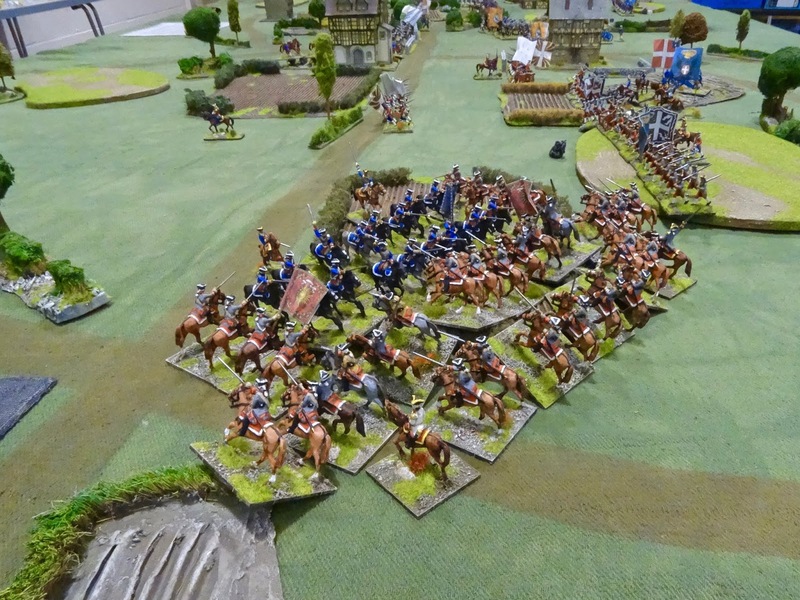 I’ll be very much interested in attending the next Cotswold wargaming day... I currently live in Cannock and go to the superb Stafford and District Wargame club but was born and bred in Stow-on-the-wold and return on a regular basis to see my Mum. Hello there. I Stumbled on this post after reading your rant against Warlord Persians! I live down near Bath, but would be possibly interested in attending this year. It's a nice run up the Fosse Way. Could you kindly send me any information on the 2019 event when you have it? My blog is http://mercuriusatticus.blogspot.com/ so please do leave a comment with dates and so forth.